Who doesn’t love to break away from the everyday stress in life by going a vacation? When thinking of a vacation we visualize relaxation and look forward to a peaceful experience. Vacation can come in many forms such as traveling to see friends, family, or just to go enjoy quiet time while laying on a beach somewhere. In reality anyone would love stress free traveling but it’s not always the case! There are many factors that can cause traveling to be an unpleasant experience. 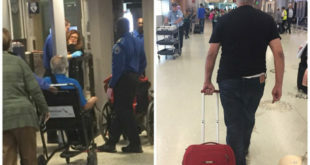 Hauling luggage, parking the care at the airport, waiting in the line for security, and rushing through the airport to make it to the connecting flight are apart of the vacation we don’t enjoy. Traveling in the car for a long distances dealing with heavy traffic attribute to the unpleasant experiences that we encounter while trying to get to our favorite destination. 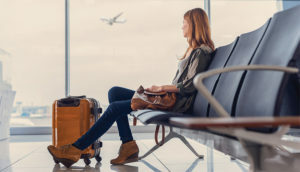 Even the healthiest individuals find that traveling is nerve-racking, so what are the precautions travelers should take? Our myocardial oxygen demand increases during air travel due to the abnormal cabin environment. The cabin pressure decreases as the plane rises, and the air becomes extremely dry which can cause issues with breathing. The cabin pressure can also cause problems with arterial blood flow, which can negatively affect any individual, especially those that have cardiovascular issues. One of the most common travel concerns are DVT’s, or deep vein thrombosis. DVT’s can occur in travelers in the air, railways or by road. Both chronic and acute symptoms could be a sign or lead to a DVT (deep vein thrombosis). DVTs are life-threatening and should be treated immediately. Deep vein thrombosis is a blood clot in the veins that are formed deep in within the legs. Vascular malformations, pelvic tumors or sitting for extended periods of time are some of the risk factors that go along with DVTs. Every year, over 2 million people are affected by deep vein thrombosis, and sadly over 200,000 of these cases end in death. To alleviate your chances of DVT, it’s imperative to try and move your toes, ankles and do calf raises in your seat. If you can get up and walk around, that’s a valuable method to keep your blood flowing correctly back to your heart. If your trip is over 2 hours, or if you have venous insufficiency, wearing compression stockings is critical to keeping your vascular structures healthy. Next Are Cardiac Warning Signs Different Between Men and Women? Knowing the Difference Could Save Your Life.